Yesterday was the last day of school for the fall semester for our sweet kids. We absolutly love their school, but most importantly we love their teachers!! 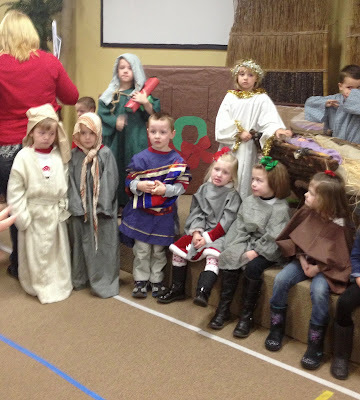 We love that they are in a safe enviorment that is centered on spreading the love of Christ. We love you, Beltway CDC. 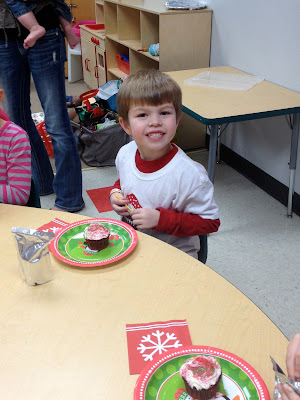 Anyway... last day of school before Christmas = Christmas parties! 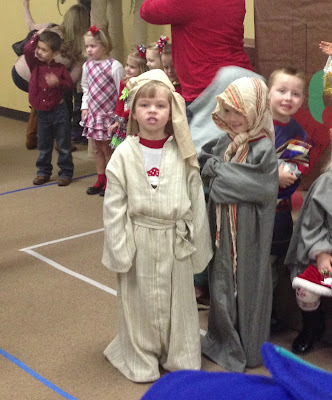 We actully had "Happy Birthday, Jesus" parties! WhooHoo! Unfortanatly I do not have many pictures because I was with my sweet flamingo's class for our party. :( I did get to sneak down to Hunter's class for a few minutes. 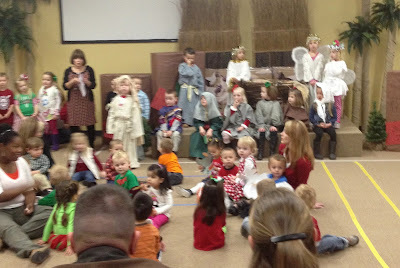 Earlier in the morning the kids put on a short Christmas program. Hunter was so excited to be Joseph! Here he is with Mary! They did a great job. Maggie and Archer sang too! 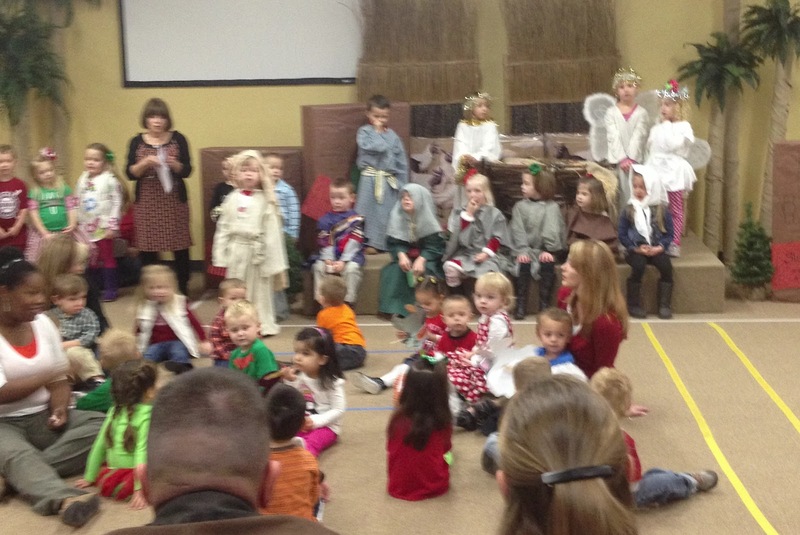 You can kind of see Maggie in this picture sitting with her class. Over all we had a great day yesterday! We are all so excited about Christmas!